Winters can be brutal in our neck of the woods, and the recent cold snap was even colder than we’re generally accustomed to. Sure, there’ll be a January thaw before temperatures drop back down once again, but it is only a brief respite in an otherwise bitterly cold season. While a thaw is always nice, one thing you don’t want to have to thaw out is your plumbing system. It is much better to prevent your pipes from freezing in the first place. Frozen pipes are not at all uncommon in this part of the country during this time of the year, and the truth is that there really isn’t a way to guarantee that you’ll never encounter the problem in your home. The good news, however, is that there are precautionary measures that you can take to at least reduce the risk of your pipes freeze up. 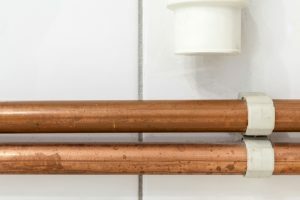 Here are some tips to help you protect your plumbing in Chester, VT.
Getting a new furnace for your Ludlow home can be a stressful time. But it can also be an exciting time as you get ready to enjoy efficient and reliable heat for your home this winter. At HB Energy Solutions, we’ve installed countless furnaces for our customers in the Ludlow area. For this blog post, we thought it would be a good idea if we put together the top 3 things to look for in a new furnace. Greater efficiency – When your furnace is the right size, it will most likely operate more efficiently. Greater comfort – Furnaces that are too big often cause large temperature swings and hot and cold spots in your home. Reduced wear and tear – When the furnace is too big, it turns on, quickly heats your home and then turns off. When your house cools town, it turns back on again. This causes extra wear and tear on your furnace. Furnaces are given an annual fuel utilization efficiency (AFUE) rating which measures how much of the fuel they consume over a season is actually converted into usable heat. Many old furnaces have an AFUE of around 60%. This means that 40% of the fuel they consume is wasted. Newer furnaces can have an AFUE of 95% or higher. Depending on where you live and many other factors, it might be a good idea to at least consider the fuel options that are available to you. For example, if you already have a natural gas running into your home, you may want to consider switching from an electric furnace to a gas-fired one. In many cases, natural gas is less expensive than electricity. This is all highly dependent on your specific situation and budget. If you’d like help picking out a new furnace for your home in Ludlow, contact the heating experts at HB Energy Solutions. We have years of experience working with all types and brands of furnaces. We can help you find the correct size and efficiency rating for your home. Call us today! When it comes to keeping your Chester, VT home’s heating system operating at the levels of efficiency and effectiveness that you demand, a proper installation and regular, professional maintenance are necessary. Of course, even with the best installation possible, a high-quality machine and meticulous maintenance service, your heating system is still going to have some trouble every now and then. When problems do develop with your heater it is important that you procure the necessary, professional heating system repair service you need as quickly as possible. The early detection, diagnosis and treatment of your heating system problems is the best way to ensure uninterrupted heating service as well as to keep the necessary repairs as minimal as possible. When you need heating system repairs in Chester, VT, you need to call the heater repair service experts at HB Energy. We have all the skills, training and experience necessary to get your heater back on track in no time. Of course, before you can schedule heating system repairs you must be aware of a problem with your heater. Here are some common warning signs and indicators that you should call for heater repairs. Any decline in your home heating system’s performance is reason enough to call your professional heating service provider. If you notice that your home has developed cold spots or if your heater is having trouble keeping your home at the desired temperature, call for repair service immediately. These conditions are indicative of a problem with your heater that will only worsen if given the time. If you notice an increase in the cost of operating your home heating system but have not made any changes to your heating habits you may have a problem requiring professional repair service. This is clearly a case of reduced heating efficiency, and there are many factors that can contribute to this problem. Call for repair service the moment you notice this heating cost increase. Also, don’t try to convince yourself that an irregularity or inconsistency with your heater is to minor to be cause for alarm. Sure, strange sounds or odors coming from your heating system may not seem like that big a deal. It is important that you do not put off repair service for these conditions, though. They can be warning signs that a much more serious problem is developing. For more information about keeping your heater operating efficiently and effectively with professional heating system repair service, call HB Energy Solutions. We’ll help you keep your Chester, VT home warm this winter. People have been using simple indoor wood stoves for a very long time. The idea is very simple. You burn wood inside of a cast iron stove and the heat radiates out into the air while the exhaust from the combustion escapes out of a flue into the air outside. A wood-fired boiler uses a similar concept to provide heat and, in some cases, hot water to your Chester VT home. Like an indoor wood-burning stove, an outdoor wood boiler uses a firebox to burn wood. The firebox is normally constructed out of a refractory material like fire brick. The wood, or other biomass, is loaded into the firebox and lit. When wood burns, it releases smoke and a combination of other gases. These gases are called synthesis gas, or syngas for short. In the case of an indoor wood burning stove the process ends here and all of that gas is released to the outdoors through the flue. But an outdoor wood burner actually uses these gases to produce even more heat. Burning the syngas requires a lot of heat. To achieve enough heat, some wood boilers use an insulated, secondary chamber that burns the gases at temperatures as high as 2000 degree Fahrenheit. This second burning of the syngas allows wood boilers to achieve very high efficiency. By burning the gases and much of the physical fuel there is very little waste product. After the syngas is burned, the heat is transferred to water through a series of heat exchangers that double as the flue. The water is pumped to the house and used to heat the home and provide hot water to the house. If you have questions about wood boilers and if one might be a good choice for your home in Chester VT, then contact the experts at HB Energy Solutions. Our technicians can answer any questions you might have.